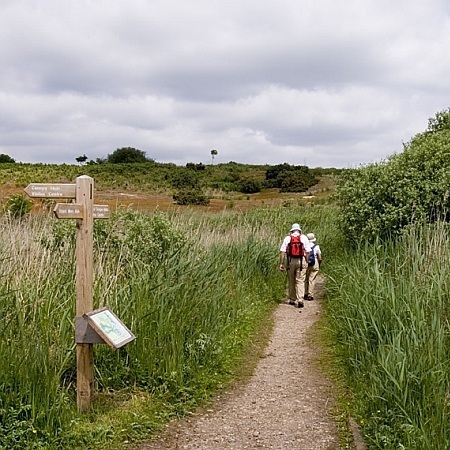 Walking Breaks are specialists in self-guided UK walking holidays. We offer a high level of personal service, concentrating on walking tours in England and particularly walking and hiking in Suffolk and Norfolk. It’s an ethos which we share with our sister company, Cycle Breaks, along with our first-class local knowledge, service infrastructure and this comprehensive website. At Walking Breaks, we want your walking holiday to be relaxing from the outset – even before you set off from home. That’s why we take care of everything from accommodation bookings to luggage transfers, always with the expert personal attention which comes from over 25 years’ experience in organising local tours. Our meticulously researched Walking Breaks tours explore English counties easily accessible from London and its airports, ideal for walking short breaks or longer walking holidays. Tours range from 2 to 7 nights featuring comfortable accommodation chosen by ourselves from a walker’s perspective. 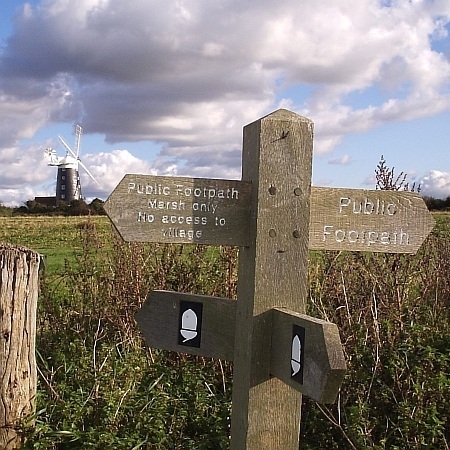 Our inspiring walking holidays UK destinations include areas such as North Norfolk, Constable Country and stylish locations like Southwold and Aldeburgh – countryside Areas of Outstanding Natural Beauty and stunning coastlines. Whether you choose a linear walking tour with return transfer or circular walk over a number of days, our walking holidays are designed and graded to let you explore at your own pace. We do our best to tailor all our walks to the requirements of each party and you can rest assured that your walking route will be interesting and well-documented, supported by good mapping and plenty of local tips. What’s more, our team are only ever a phone call away. So what’s it to be? Is it time to follow in the footsteps of 18th century landscape artist, John Constable, in the Dedham Vale? Do you fancy encountering a cliff-hanger or two along Ruth Rendall’s Suffolk seascapes? Perhaps you’d like to step back in time along the half-timbered lanes of Suffolk’s medieval wool towns? Or maybe simply hugging the Norfolk coast sounds like the real breath of fresh air you need? Whatever your Walking Breaks destination in Suffolk and Norfolk, you can start exploring and relaxing immediately on arrival at your first hotel. So whether you’ve got just a small weekend window to see things from a different perspective, or have the luxury of a week away, it’s a perfect way to unwind and enjoy some ‘breathe-in’ space. Walk this way soon!